Designing and creating a sweater is fun and can be accomplished by knitters of all skill levels!J. Marsha Michler guides the reader through three main design and construction areas:Creating pattern stitches and colorworkingSweater shapes and stylesHow to fit a sweaterEach is explained fully and clearly, and allows for the reader to participate through worksheets. Also includes helpful tips, diagrams, and detailed photos. This book is a reference, textbook, and workbook that will inspire knitters to create beautiful sweaters they will want to wear again and again. 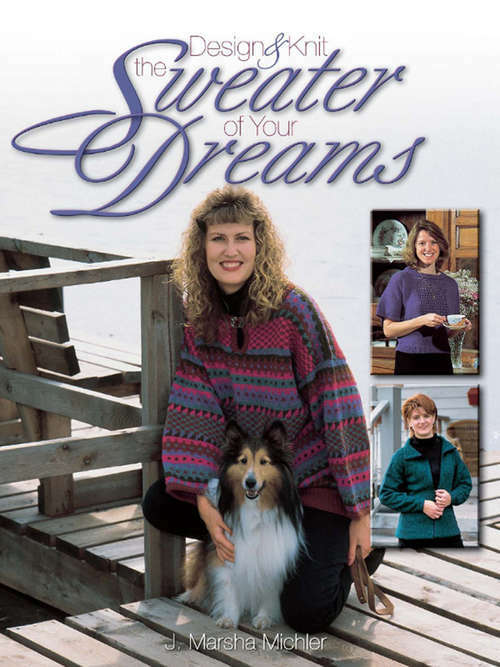 Covers four different styles of sweaters and provides instructions for designing and knitting more than 18 sweaters, along with helpful hints that assist the reader in making creative choices.Create beautiful sweaters to wear with pride!